On Sunday evening, January 27th, we had our annual New Life Celebration to give thanks for those who publicly trusted in Jesus Christ in 2018 and pray for many more in 2019. We were blessed to hear a testimony of God’s faithfulness Sunday morning, as well as some more “interviews” of testimony during our evening service. You can watch and/or listen to the times of testimony below. You can also listen to Rick’s testimony by clicking HERE. You can also listen to the full version of Katie, Ryan and Amber’s testimony HERE. 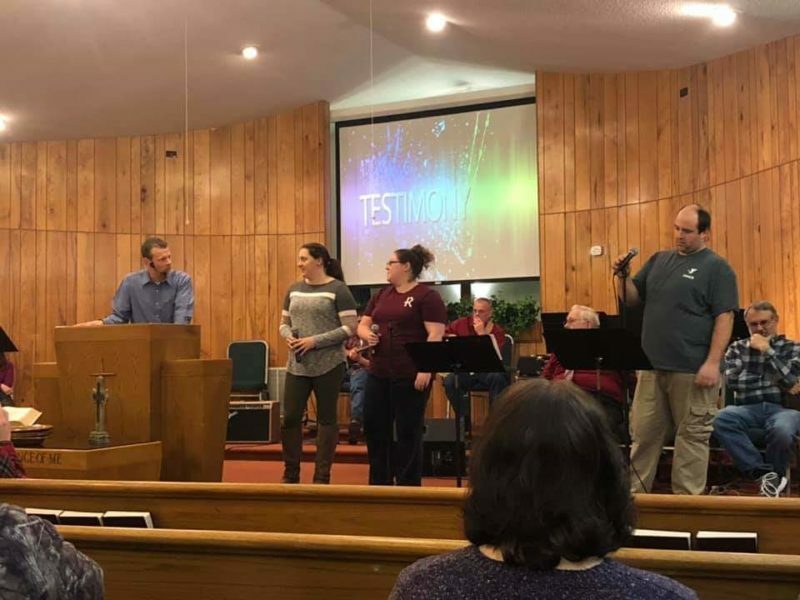 You can also listen to Robbie and Delma Sue’s testimony, as well as a short gospel message from Pastor Nick, by clicking HERE.